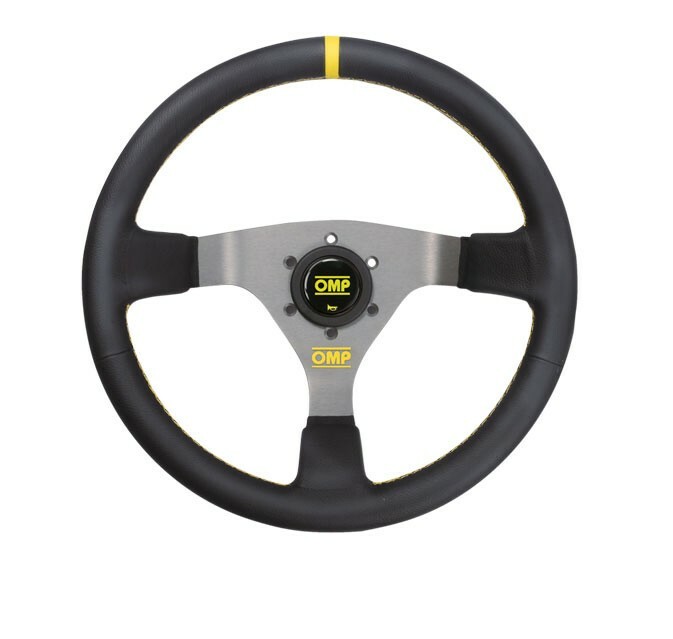 Mid-depth dished steering wheel, 3 uncovered anodized spokes. Complete with horn button. Black in suede leather with black anodized spokes. Black stitching. Diameter: 350 mm Handgrip: round 30 mm Depth 70 mm.